Some people are naturally inclined to wake up earlier in the morning than others. But when you have a regular 9-5 job, it’s not always possible to sleep as late as you’d like. Whether duty calls or you just want to be a morning person and get a few extra hours of sunlight, learning the keys to a good night’s rest and resetting your internal clock is the first step to a new outlook on life. Circadian rhythm is the term referring to the way the body regulates your sleep cycle. According to the National Sleep Foundation, the strongest drive for sleep occurs between 2:00 and 4:00 in the morning and 1:00-3:00 in the afternoon. However, the Foundation also states that if you’re getting sufficient sleep at night, these dips won’t be nearly as strong as they are when you’re sleep deprived. Get daily exercise. This will help your body to fall asleep faster naturally when it’s time to go to bed. Lower the temperature in your room. The body responds with sleepiness when the temperature dips even by just a few degrees. Kick down the thermostat and snuggle up with a blanket to enjoy deeper, more restful sleep. Get in the habit. Make going to bed and waking up at the same time every day a priority, even when you don’t feel like it. Your body will eventually catch up and soon, you may be going to bed on time without trying and waking up without an alarm! Use white noise. White noise, such as the sound of a fan or rainfall can help make it easier for you to fall asleep and stay asleep. Check out your mattress. If you’re tossing and turning a lot, or finding that despite the number of hours you sleep you’re still tired, your mattress may be to blame. Mattresses typically need replacing every seven to ten years. When you engage in healthy sleep practices, such as falling asleep to white noise, exercising daily, and sleeping on a comfortable supportive mattress, you’ll find that your body clock resets itself in no time. You may still crave that cup of java to really get you going in the morning, but you’ll feel more rested and refreshed than ever before. 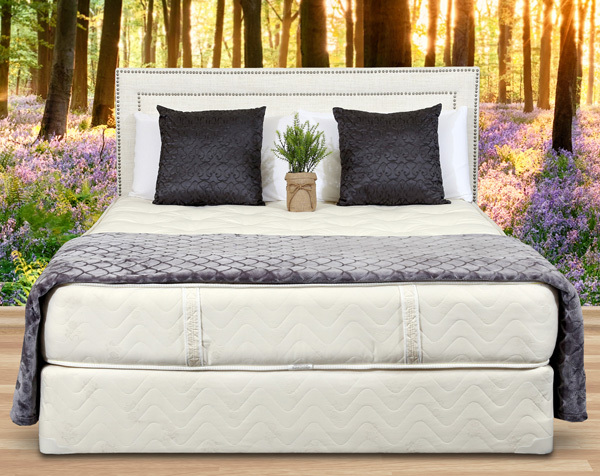 To learn more about how to find a comfortable mattress that will help you achieve your goals of restful sleep and waking up earlier, contact Gardner Mattress by calling 1-800-564-2736.